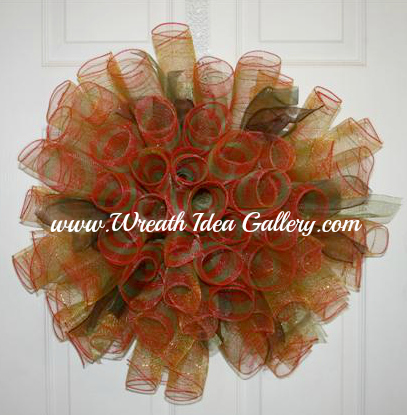 Making your Deco Mesh Tube Wreath is going to be very easy. Caution: When working with deco mesh you will find that the edged will snag other materials especially your shirt or surface you are working on. 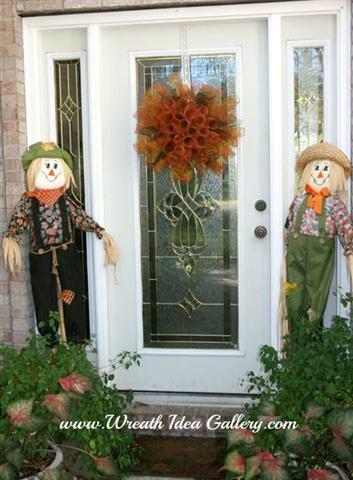 So make sure you are not wearing clothing that will snag and work on a solid surface. I use a cardboard cutting board can be moved around, and also has a built in ruler. 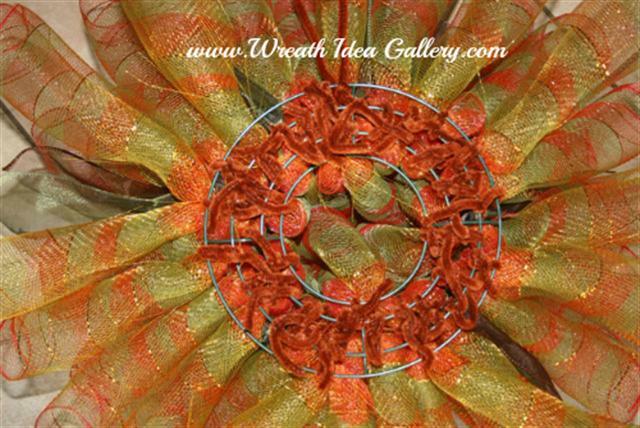 Wire Wreath Form- this one is on an 8" wire form. 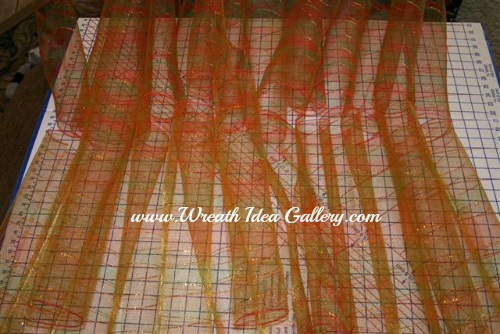 Cut your Deco Mesh in 12' strips. 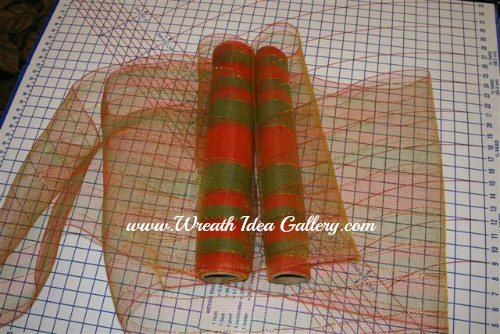 Roll with the natural roll of the deco mesh and twist the fuzzy stick around the middle. Twist all the tubes onto the wire frame. I twisted most around the two middle wires, then filled in a couple on the two outside wires. 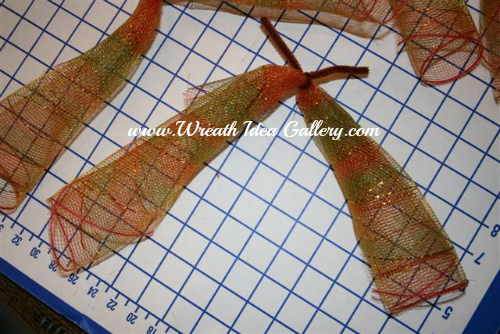 I added a fuzzy stick to the back that can be used a a hanger to hang your wreath. That is it you are ready to hang. 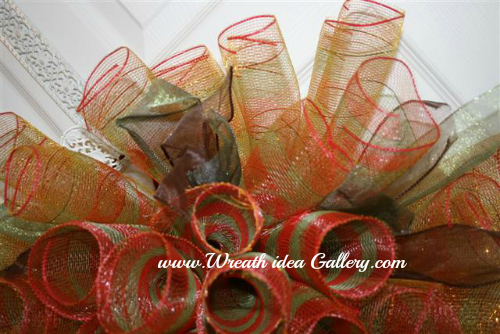 Other examples of the Deco mesh tube Wreaths.